The details we want to know . . .
Lady Trade is 12 feet tall and weighs 5.5 tons. 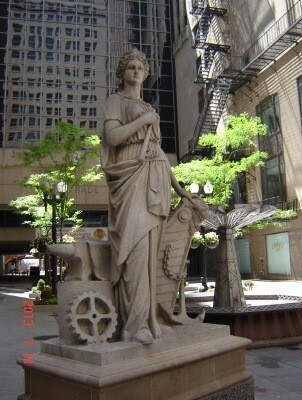 She and Lady Agriculture graced the entrance to the Chicago Board of Trade Building in 1885. Some 60+ years later while this building was demolished, these statues mysteriously disappeared. 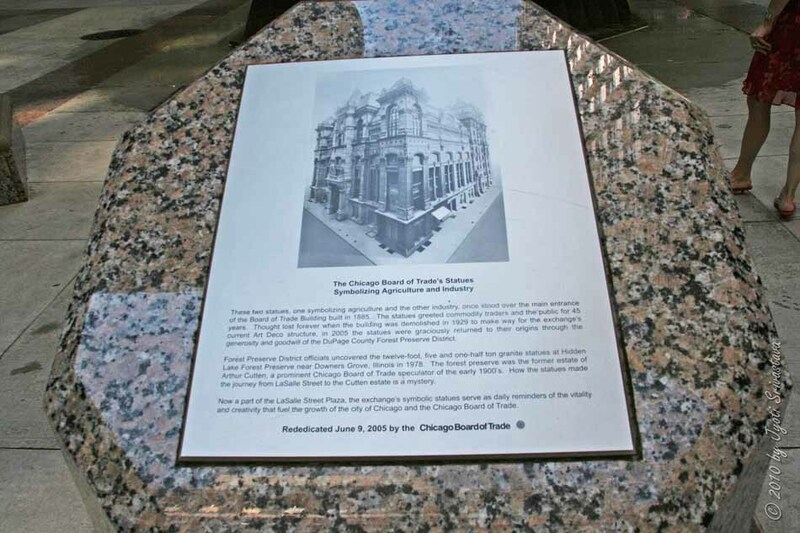 During 1978, the granite statues were uncovered in a Forest Preserve in a nearby county, some 25 miles away from the Chicago Board of Trade Building. * While the details of this discovery are not well-known, we can now enjoy the majesty the statues portray. two people trading, global trading, ethical trading, strategic trading, dynamic trading, free trading, realistic trading, trading programs, secure trading, behavioral trading, online trading, speed trading, insider trading, social media trading, financial trading. . .
content trading, trading schools, stock trading, trading races, commodities trading, utilities trading, options trading, currency trading, meta trading, solutions trading, trading favors, trading partners, trading desk, trading logo, trading account, trading places. . .
trading cards, trading pins, trading clothes, trading posts, trading floor, trading day, trading tactics, trading protocols, trading up, trading down, trading volume, trading power, trading guidelines, trading regulations, trading treaties and trading development. We learn to trade when we are young and as we mature. We may be involved in commercial trading or perhaps trading places or favors. The irony of details is that we are able to describe a process from so many different perceptions. Similarly, we describe our careers from different perspectives, depending upon the audience. We’ve come a long way in our understanding of what trading is and how it has penetrated our way of life since 1885. As you progress in your careers this week, Choose Who You Want to be Known As. Enjoy your week. This entry was posted in Academia, Business, Career Management Coaching, Careers, Coaching, Entrepreneurs, Government, International Coach Federation, Jo Ann M. Radja, Jobs, July, Organization, The details we want to know..., Thought Process and tagged Career Management Coach, Chicago Board of Trade Building, coaching, Ethics, Think, Thinking, Trade, Trading, Values by Jo Ann M. Radja. Bookmark the permalink.